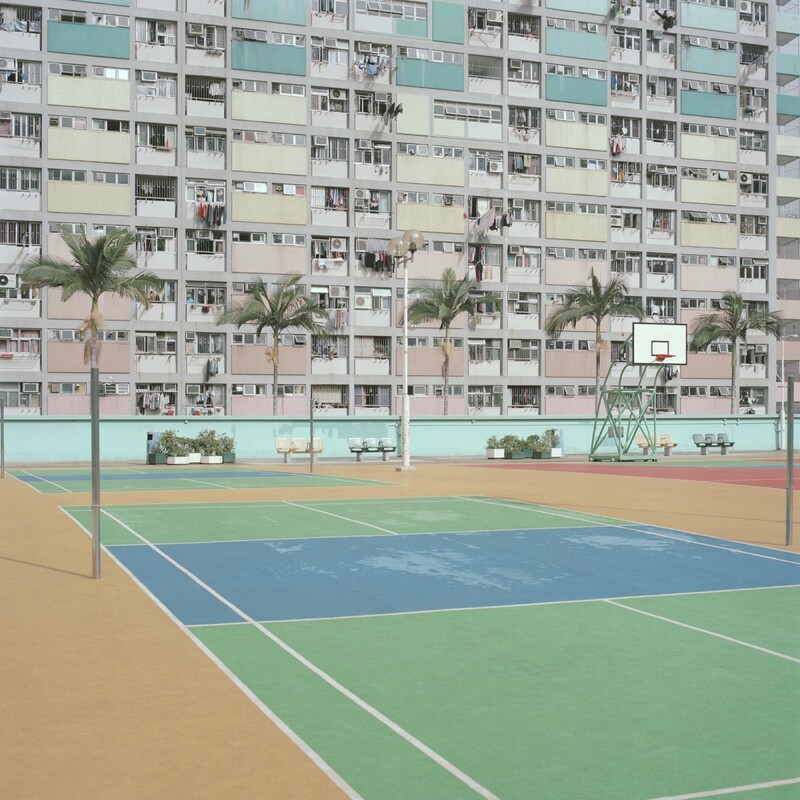 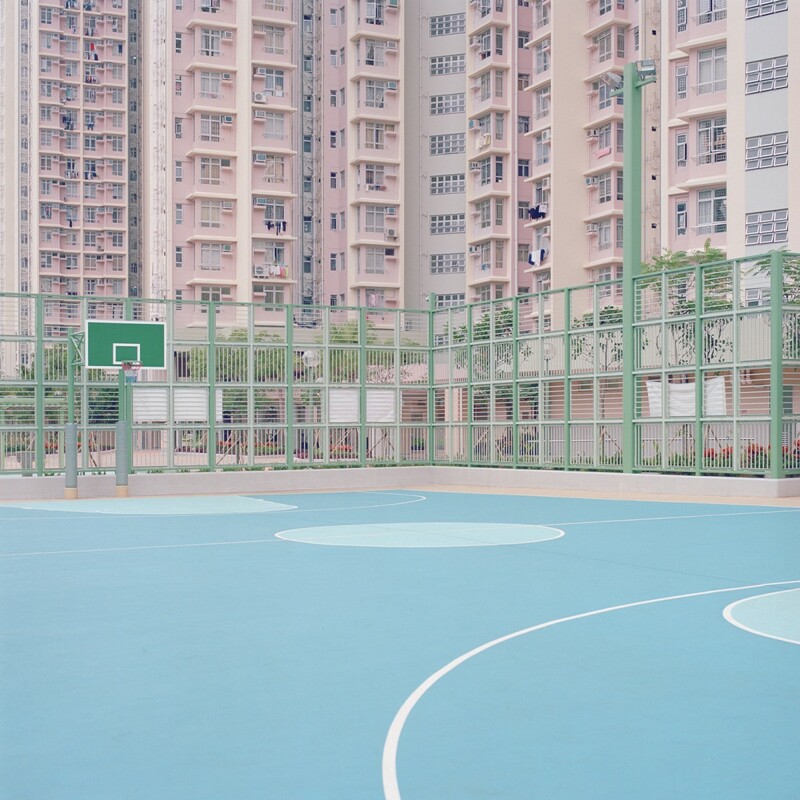 the ‘courts’ series is a tribute to robert’s childhood spent in hong kong, playing outside with children of varying cultures. 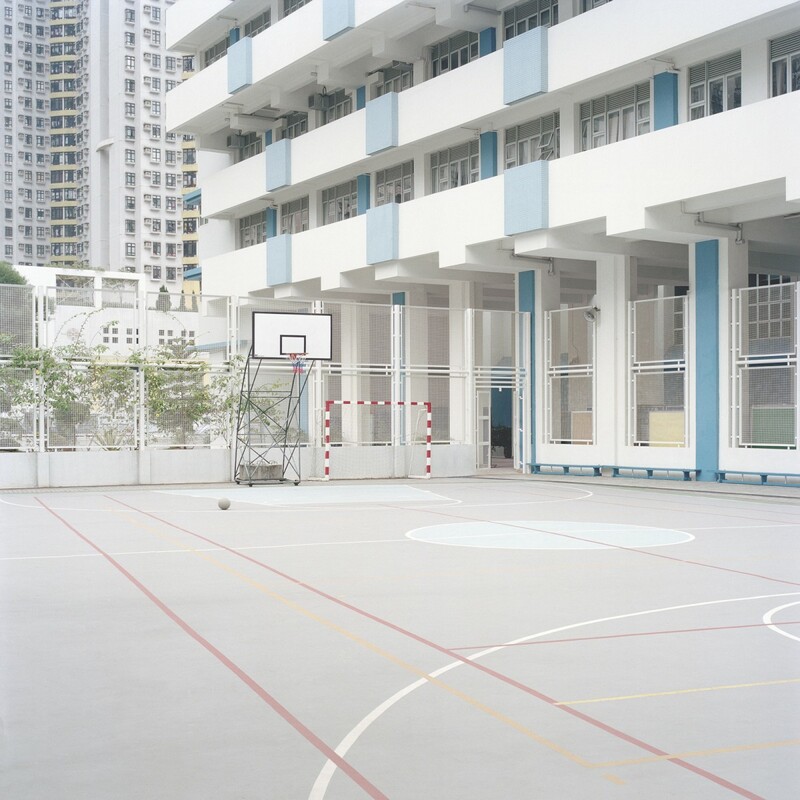 It was there he learnt that youth transcends language; that contradictions can be unifying. 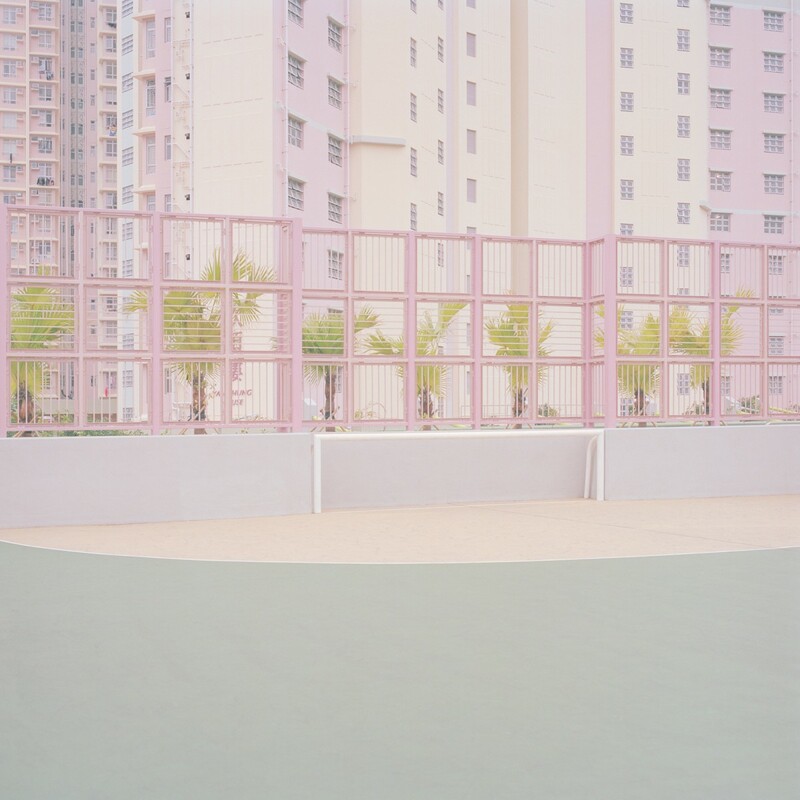 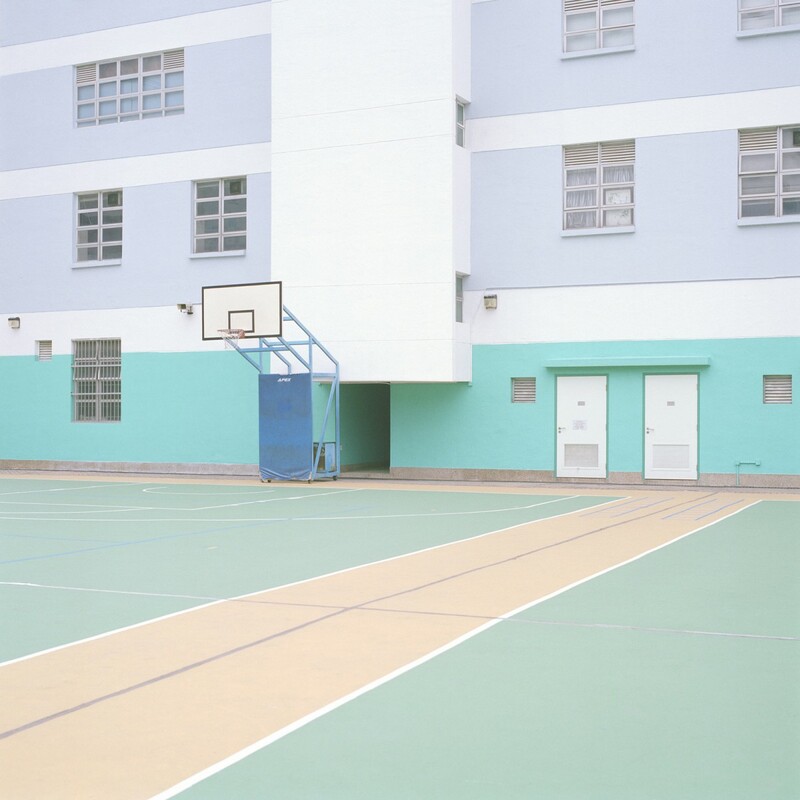 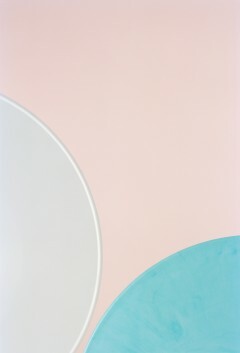 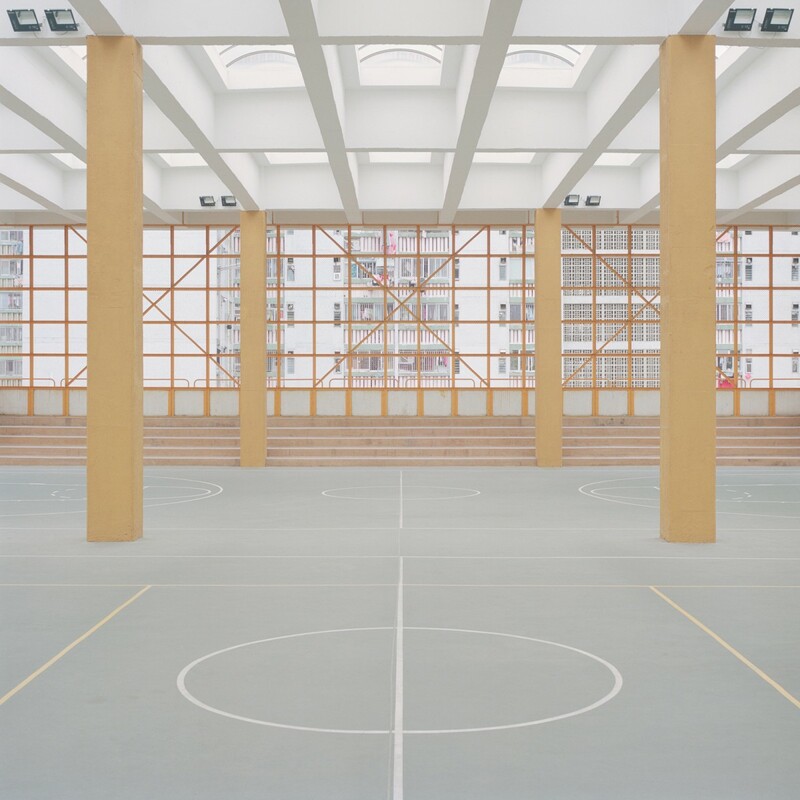 in his soulful photographs, the pastel hues contradict the hard, concrete composition. 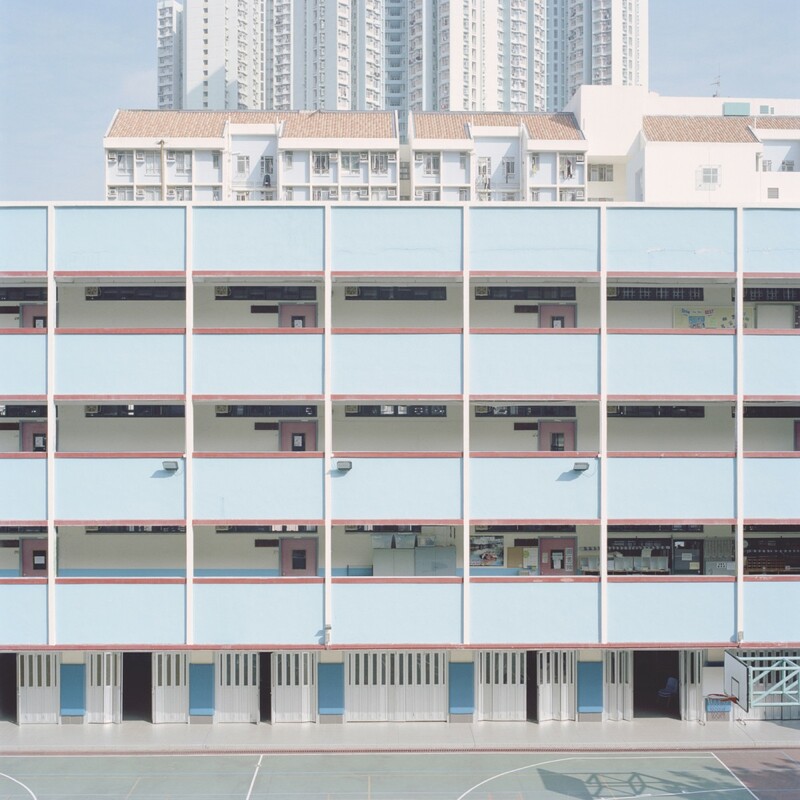 the cramped, vertical apartment blocks are pitted against vast, empty spaces. 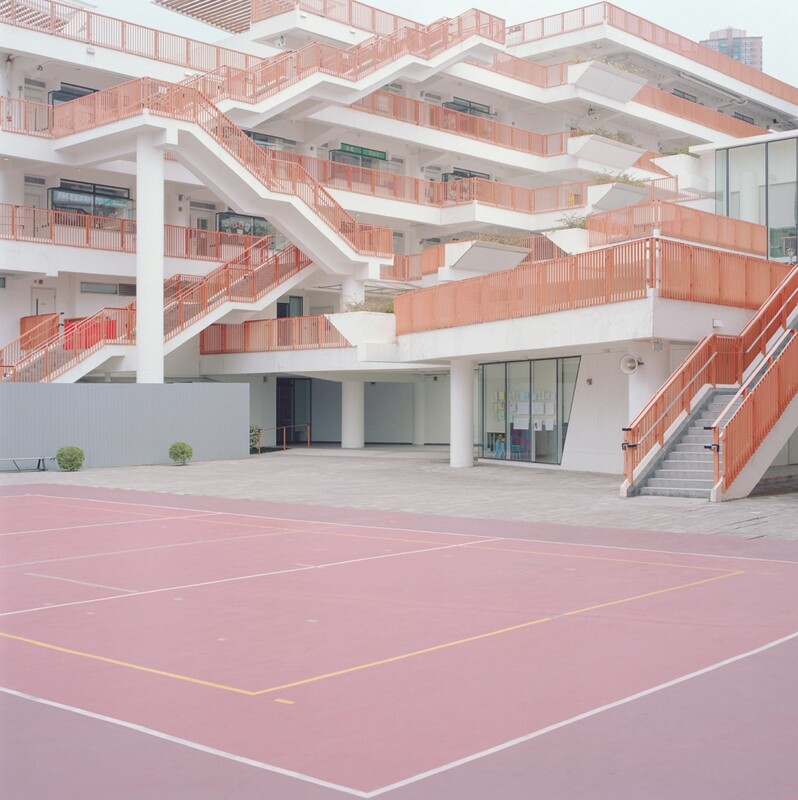 returning to a place with fondness can portend disappointment, and in this instance, the laughing children of robert’s youth are nowhere to be seen. 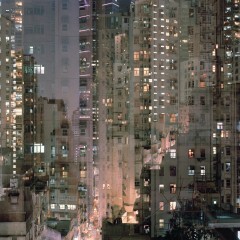 there is a sense of the lives of the new inhabitants being lived indoors, and memories fading.